wanted to take a moment and thank your staff so much for their work on my girls and I. I was curious as to how the teen girls would react to getting their makeup done professionally for the first time. I cannot tell you how much it warmed my heart to see the smiles on those young girls faces when they saw themselves after your staff had completed their look. I could see their confidence rise. They felt beautiful, (some for the first time). Not only did you bring out the beauty in each girl, you filled us with a new sense of confidence. Absolutely wonderful - highly recommend! I can’t say enough how happy I was with the services provided by the MKUP team! We hired Sam for makeup and Tiffany for hair, who came to the venue to do everything on-site. They’re both so lovely, so talented, and so professional. They gave each of us exactly what we were looking for, and we received so many compliments on our hair & makeup. I would highly recommend to everyone! I’m not from the area, but will totally go to their studio whenever I can! Maggie has amazing talent and is a dream to work with. She did my makeup as a bridesmaid for my best friend's wedding and I am booking her for my big day! I honestly believe artists at MKUP The Beauty Studio are the best in the makeup and hair business! 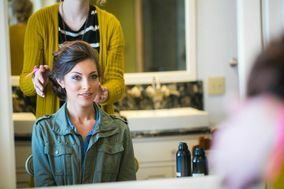 Their talent with makeup is honestly breathtaking - all of the members of my bridal party were blown away by their makeup on the day of our wedding. Whether you want beautiful, natural makeup or completely GLAM makeup, MKUP has you covered. They are able to capture your vision and bring out a person's natural beauty. Talitha did my makeup and she is completely amazing. She is so easy to talk to and did my makeup so beautifully on the day of my wedding. Anna did my hair and it was gorgeous and exactly the boho-chic look that I was looking for. I plan to visit MKUP's studio again for their makeup and hair services on any future special days of mine! Maggie and her team were a dream to work with. Getting my makeup done is not something I do often and I have never felt more beautiful in my own skin. My bridesmaids and I felt extremely comfortable and they were sure to bring out our best features. We received so many compliments and look forward to working with Maggie again! Maggie King and her team of professionals are definitely the best at makeup for your big day or any occasion. I felt so beautiful on my wedding day and my bridesmaids and mother’s were too. MKUP is very accommodating and responsive. The studio is so cute too! Pricing is right on point for the amazing services they provide. Maggie and her team did a wonderful job on my wedding day. They took their time with each bridesmaid and family member so that everyone felt beautiful. For me, being the bride, Maggie made me feel confident and beautiful. During my trial what we decided to do at first didn’t work. I don’t wear a lot of makeup, and it just didn’t work for me and my skin. However, Maggie worked with me for awhile to find my perfect look, one that I felt confident in and one that still was glamorous enough for my wedding day. And on the day of Maggie didn’t disappoint. I never felt more beautiful! I booked MKUP for my June 2018 wedding and I am thrilled with how all of our hair and makeup turned out! Everyone involved listened to the ideas of my bridesmaids and executed these ideas with perfection! I loved that all the girls traveled to our venue, which created a stress free day for everyone involved. MKUP accommodated my large bridal party and took their time on each girl they worked with. I was worried about our makeup and hair staying on such a hot day... but these girls did not disappoint! If you are looking for talented makeup and hairstylists in the Lancaster/York area, look no further than MKUP! WOW - I cannot say enough positive things about Maggie and her team. Maggie was hands down one of the absolute best choices I made in booking vendors for my wedding day. She completely listened and understood exactly how I wanted to look on my wedding day, and executed it FLAWLESSLY. I work in the beauty industry, and am very knowledgeable about makeup artistry. When I met Maggie and had my bridal trial with her, I knew she was the one. If you want to look perfect, feel comfortable, work with an extremely professional person, and be confident in your makeup artists on your wedding day, book MKUP. Not only is Maggie is a dream to work with professionally (always on time, responsive, flexible, organized), she is such an amazing person as well. Her kindness and genuine nature make working with her such a pleasure. Her team is extremely talented and kind as well. 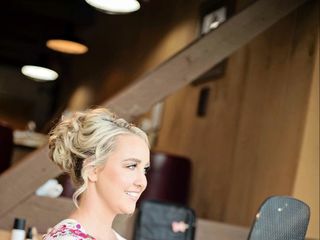 All of my bridesmaids absolutely loved their makeup, and were relaxed during the process due to such an amazing team. You must book MKUP!!! I booked Maggie for my wedding day makeup because I liked how natural her photos looked and that was the look I was going for. I went for my trial and fell in love with how she did my makeup. I felt like a princess. I also ended up booking my wedding day hair with Tiffany who also did an amazing job. I could not recommend Maggie enough! I am so picky with my makeup mainly because I don't ever wear any so it was really important to me to not look overdone. She made me look like a bride, but natural. Everyone was complimenting my makeup on my wedding day. I also used Maggie and Tiffany for hair and makeup for my bridesmaids - which can be hard since not everyone wants the same look. However, all of my bridesmaids were equally in love with their hair and makeup. Thank you so much for making me beautiful!!! Maggie King was absolutely amazing! 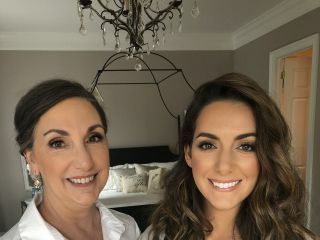 Not only did she do a fantastic job on my wedding makeup, but she also did my mother, and my two sisters last minute per request. Maggie is incredibly talented and I can't wait to request her services again very soon! I truly can not even put into words how thankful I am that I chose Maggie to do the makeup for my special day!! To start off from the time she did my trial I knew I made the right decision! She was so professional, friendly, and extremely talented. The morning of my wedding she showed up early and was ready to go! My bridesmaids were stunning and she made each and every single one of them feel beautiful! Maggie was even kind enough to fit in my mom and younger sister as well. A little back story on me, I have celiac disease which is an autoimmune disease involving gluten. Unfortunately the weekend before I ate a cookie that unfortunately wasn’t gluten free and I became extremely ill! Even worse then that though my face was swollen, itchy, dry and cracking . The week of my wedding I honestly was going to cancel because I was that devastated that I was going to be dealing with this on my wedding day. I was so upset and stressed . I called Maggie half way through the week to explain what was going on and she was reassuring and offered helpful advice! When it was time to get my makeup done I was super emotional because I was just stressed that I even had to be dealing with the allergic reaction. I was worried I wouldn’t feel amazing on my wedding day . Maggie seriously worked her magic and made me feel stunning to the point I wasn’t focused on my reaction or even thought about it at all. I received compliments all night and couldn’t be more thankful for Maggie!! She seriously saved my day!! I can’t thank her enough and highly recommend her to Any bride out there wanting to feel absolutely FLAWLESS on her wedding day! I went to Maggie for my make up for a maternity shoot and she also styled my hair. Not only was communication prompt and efficient, her work was impeccable. She really cares about her clients and takes the time to get to know you. She made me feel so pretty! If you’ve ever been pregnant before, you know that you don’t feel gorgeous all the time. I highly recommend her work and service. You will not be disappointed. I cannot speak more highly of MKUP, the Beauty Studio--my original make up artist option fell through about three days before my wedding (*insert panicked bride here.) As I searched online, trying not to have a mental break down, I came across this beauty studio. After reading all of their positive reviews, I gave them a call. I spoke with Maggie about my situation and she informed me that they had two make up artists for my wedding day available. Within hours, she had sent me a contract, spoke to me on the phone about logistics, and rearranged her schedule so that I could have a bridal make up trial prior to the wedding day. Tiffany was my make up stylist and nailed the look I was going for. I felt that she enhanced my natural beauty, rather than making me look like someone I was not! 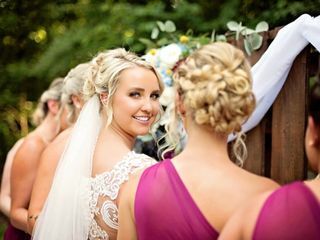 Ashley was the other make up stylist that worked with my bridesmaids and all of my girls LOVED her, including my mother! Both Ashley and Tiffany were very professional, on time, and accommodating to our schedules. They use the latest and highest quality make up products. My make up photographed beautifully and stayed on the entire night! I am so excited to use them again for future life events. I am forever grateful that our paths crossed and was able to feel beautiful and confident on my wedding day…so, don’t wait until three days before your wedding to find them—you’re already here, book them NOW! 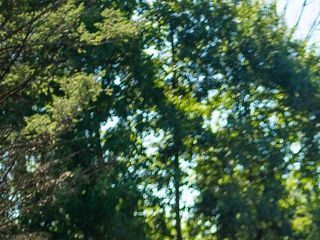 You will not regret hiring Maggie & team for your wedding day! You will regret not reserving them in time!!! They book fast as many of my friends wanted to work with MKUP but couldn't. I found Mkup on a whim on Instagram (go look at her work now - seriously). I decided to reach out and we exchanged a couple of emails. I was flying in to Philly to get married ( I live in Miami) so it wasn't as though I was down the street to plan a trial and book her. However, after reviewing Instagram, loving our emails, and browsing wedding websites to find she was on them as a top rated artist - I decided to go for it! At the trial I was so happy I trusted my gut. I can't imagine having trusted anyone else and I looked prettier than I ever thought possible. Talitha and Maggie provided my day of H&MU schedule immediately. They were insanely patient with me. I am positive I asked questions they probably already addressed, but she told me she adored me and not to worry about it. On my wedding day, she and the girls showed up and just went ABOVE AND BEYOND my expectations! Bridesmaids who I know to be a bit picky and ask to have things redone came up to me later and said I had clearly done my homework; they'd never had such a good make up job (they all live in big cities to). They wished they had MKUP on their wedding days. My mother who constantly complains of looking like a 'clown' when she gets her make up professionally done was so pleased! Typically she goes in the other room and wipes half of it off/or all of it and redoes it herself. She told me it was the best make up. That's never happened! Finally - me…I cannot express how gorgeous I felt. I looked like a freaking celebrity! From the bottom of my heart, I cannot express how fortunate I was have Maggie and her team. Maggie recently provided her exceptional services for my wedding. As part of the day, Maggie's vetted glam squad did hair and makeup for 11 people plus myself, and everyone was thrilled with her work (not an easy task! ); she ran ahead of her very professionally coordinated scheule; and was 200% committed to ensuring that every single girl totally loved the way that they looked before she was done - seeking out feedback and fixing girls hair on the spot without missing a beat. She was superb, and I would highly, highly, recommend her to any bride looking to organize a perfect wedding day. I really don't think her services could have been any better, and I am so thankful for all of her efforts and time. In addition, Maggie, Talitha, Anna and Tiffany were super fun and friendly with my wedding party. Talitha & Maggie prepared and organized essentially everything beauty related leading up to the day. MKUP really has this business down to a science- and i have never met someone so committed to ensuring my satisfaction (which is exactly what you want for your wedding). MKUP was so patience and prepared, i really can not say enough about how happy I am. I would choose her again in a second! Maggie was amazing! She managed to work with what little guidance I gave her for how I wanted to look on my wedding day and made me look beautiful. We got married in October, but please don’t let my delayed review take away from how incredibly happy I was. I completely trusted her with everything and I received so many compliments on my makeup. She was even super supportive when my mom passed out in her chair while we were getting ready for the wedding – she helped calm my nerves during a really stressful moment! I’m so appreciative for her work! I would absolutely use Maggie again! I wish I could give more than 5 stars! Maggie, Sam and Talitha were so easy to work with and had the most wonderful attitude every time I saw them. I booked a trial run with her for my hair and makeup and LOVED it. 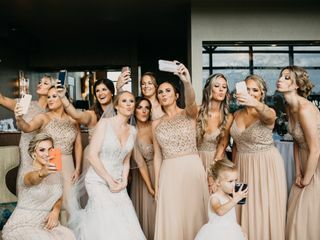 I then booked Maggie and staff for my wedding ( 9 bridesmaids, the MOB and MOG) and cannot tell you how happy I was with everyone's hair and makeup on our special day. I am not rom the area and had 2 awful trial runs prior to meeting Maggie. One artist was less expensive and the other very comparible ( but the end product and talent wasn't as good as MKUP). We had two assistants and Maggie herself, working on all of us and they arrived on time (if not before) and they were all so pleasant and willing to work with everyone to get the exact look they wanted. We all received so many compliments that night and I would recommend her to anyone who is getting married or has a special event. I can't wait to work with her again in the future. They were very responsive and answered my unlimited questions. The booking process was easier and more detailed than the other two artists I contacted prior to Mkup. MKUP beauty team is the way to go! If you are looking for stunning, natural make-up application, look no further! Maggie and her team are professional, friendly, and fun! They made the entire experience enjoyable and not a bit stressful! The entire wedding party looked beautiful! Maggie is simply the best in the business! Maggie provides amazing lash services but also did my wedding day makeup. Maggie made my wedding day vision come true but even more beautiful than I could've imagined. Maggie truly cares about her clients and it shows in her work. I would not trust anyone else with my makeup!!! Tiffany and Ana did a fantastic job with my makeup and hair for my wedding day. They were very easy to work with and I couldn't thank them enough! They listened to what I (and bridal party) wanted and we were so happy with the outcome. Talitha was my makeup artist for my wedding and she was AMAZING! So skilled and professional. She made me and my bridesmaids feel beautiful! The makeup photographed beautifully and the makeup lasted all night. Anna was the hair stylist and she is so talented as well and knew just what to do for each girl's hair type. Talitha and Anna arrived bright and early at 6:30 am to set up, to start the girls hair and makeup at 7:00 am. It is definitely worth it to hire excellent hair and makeup artists, I could not recommend MKUP The Beauty Studio more!!! I can’t even begin to thank Maggie for the amazing job she did on my wedding day! 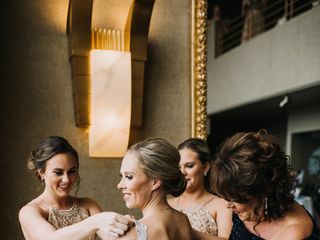 She worked incrediblely hard to make sure every one of my bridesmaids, my mother and myself felt beautiful. 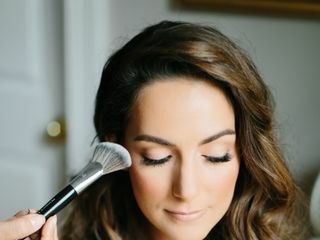 I knew Maggie was the right choice when I met her for my makeup trial, what I loved most about her is she made sure I was comfortable and felt confident about how my makeup would look on my wedding day. I love that she encouraged feedback and wanted everything to be perfect. She is so precise and professional to ensure you will look your best ! I would highly, in fact I already have, recommend her to any bride to be. I came to see Sam for a lash lift and tint. My lashes look amazing! I will definitely be coming back to see Sam in about 6 weeks to get them redone! The studio is so pretty and clean! The professionalism of the team is beyond my expectations! Everyone is so nice and welcoming. I am so in love! Definitely recommend!